Has anyone heard about new power injectable central lines coming out from Arrow. Our rep was by last week and told us about them. We were talking about whether or not this would eliminate the need for us to continue placing the power PICCs and just to back to placing the smaller "standard" PICC. I can see where the need for power PICCs will still be out there, but I can also see where these new power injectable central lines will allow us to be more discriminate on the type of PICCs we place. Any thoughts? The basic function of a catheter is to provide venous access for infusions. Power injection is an added safety benefit. 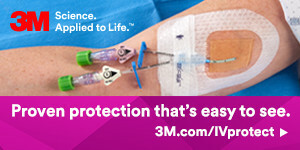 Eventually all catheters will have that function, but until that happens our choice is based on the available options. Our goal is to provide the right catheter for the right patients at the right time. A patient in the critical care unit won't need his protected CVC replaced by an unprotected triple lumen Picc for the sake of power injection. A catheter that can offer the antimicrobial protection recommended by the CDC and the added safety of power injection capabilities is a double plus! Could you email me please off the list? I have a question for you.... Thank you. Power injection triple lumen catheters that are acute care CVC's are either already released by Arrow or soon to be. The triple lumen is typically a bigger size french catheter than the PICC line. Usually 7.5 French and above so not sure what you mean by smaller power injectable lines. For a triple lumen PICC line to my knowledge there is only Bard however that is also changing. I heard rumors to the fact that two more are coming out soon. The market is a power market!!!!! What I mean by smaller PICC is the non-power injectable PICCs that do not have a two French size taper. If our hospital starts placing power injectable central lines, doesn't that greatly dimenish our need to place the larger tapered power injectable PICCs? Arrow has a non tapered pressure PICC if you are looking for a PICC that does not taper 2 Fr sizes during hte last 6-8 cm. Yes, you are correct in that the pressure CVC should decrease the use of pressure PICC's. WHat a concept, a central line that has the best of all circumstances: antimicrobial, staggered lumens, and pressure. One lumen in the CVC is rated for 10cc/sec and the other 2 are for 5cc/sec. In my area, many hospitals are trying to reduce central line placements by using triple lumen PICC's. Being a Bard rep, I sell the triple lumen PICC and don't sell CVC's, so of course I only see the one side of it. I have read Maki's Meta-Analysis of 223 Published Studies, which says acute catheters have a 2.2% infection vs. 0.4% for PICC's. I imagine these posts are based on much more information than that - can you all please humor a "typical sales rep," and tell me why/when a CVC would be preferable to a PICC? Well Kristoffer I wish I could tell you who those patients were as well that get the TL PICC. So far this is what I have found. Patients who had a TL acute care catheter first and are than getting a second catheter due to reducing infection risk or getting a line out of the neck or chest (reducing insertion risk) are often the receivers of a TL PICC line. I have looked at around ten hospitals on chart reveiw and have found this number to be 12-15% of the patients in a facility that had a TL acute care catheter first and than a PICC line. No good study to point you to however to prove this number as it is all anecdotal from me on what I have found on doing early assessment chart reviews. The ones who get the TL PICC first and not the acute care catheter vary by hospitals and by teams. The Medical ICU patient, transplant patient, burn patient, patient with low platelet count, patient with compromised immunosuppression are the candidates I often see. That does not mean that I am totally right. I would love it if any users of the TL PICC tell us who they put them in. There are over 3.5 million TL acute care lines sold at least that is what I found two years ago. I do not see these lines disappear as they have a purpose. You need a large bore line for rapid infusion that is a short distance to the SVC, Law of physics applies however I do see that the TL PICC is becoming an adjunct to the TL Acute care line. The decision to remove a CVC and place a triple lumen PICC can be viewed in a different perspective. The CDC guidelines recommend NOT routinely replacing CVC's simply to prevent infection. If the patient received an antimicrobial CVC that could dwell for several more days (when compared to an uncoated one) then perhaps the patient coud keep their CVC and the not require the triple lumen PICC. THis would eliminate the need for the large lumen PICC as well as the cost associated with it. THese triple lumen PICC's are not cheap after all! But of course neither is a CRBSI. So the vascualr access nurse, in collaboration with the attending physician, can come together to determine exactly what is best route for the patient. A brief side note about replacing CVC's with PICC's. Early in my practice, I was so excited to see triple lumen PICC's come around and I tried to get them in every patient that had an uncoated CVC. After several incidences of subclavian thrombus on these patient's, we immediately began to track these individuals. What we found was that when we went on the same side as a previous or existing CVC (or even a failed attempt at cannulation) those patient's were higher in developing thrombus than going on the opposite side. It seems the "requirement" any more for this forum is that it must be published literature to be credible means that my information is not credible. With that said, I will add, that it was indeed "in the best interest" of my patients NOT to place these large triple lumen PICCs on the same side as their CVC. Not credible, but certainly good practice for them and after all that's what we all want. To clarify a previous post.... Arrow does not have a 7F open ended triple lumen. THe new line that recently came in to play was a pressure rated CVC. Thank you. The funny part of all of this is we are pulling out acute care and PICC lines (I believe at a 10% rate) for spiked temps. Often the next line is a DL or TL PICC. We are pulling non infected lines like crazy. The idea of leaving the TL acute care line has not been published yea or neah but not overly catheterizing is not good idea. I wish someone would publish. I am not opposed to leaving in the acute care lines longer but that is not a popular opinion. I believe we over catheterize with repeated catheterizations. The reason is the idea that switching to a PICC lowers the infection rate. Not sure if it does or does not. Not enough study on it. I do know that the acute care lines are approved for under a 30 day dwell but we tend to remove earlier and replace with a PICC or another acute care ine. Who knows what the answer is. I just know that sending an acute care line out of the hospital is NOT safe. Air embolism and bleed out are the real concern besides infection. I am not opposed to research to leave in the original acute care line and not trade it out.